For $5, these monogrammed oversized paperclip bookmarks would make a great little gift for anyone that likes to read. Teachers, Book Club Friends, Bible Study Groups, etc. They can be done in any color fabric you want. The paperclip itself measures about 3 1/2 inches tall and with the monogrammed piece it reaches almost 4 inches. If you'd like to order one, please email me at maddiemoosboutique07@yahoo.com or call at 615-443-1265. This hand towel would make a great gift or something just for yourself. I can do it in just about any font you'd like. This one is just a sample of one I've already done. The hand towels are $7 and you can order one by calling me at 615-443-1265 or email me at maddiemoosboutique07@yahoo.com. I've started doing shirts for siblings. I have Big Brother, Big Bro, Lil Bro, Big Sis and Lil Sis. I'm happy to do them in any color scheme or design you want. Here are a couple I've done already. You can reach me at maddiemoosboutique07@yahoo.com or 615-443-1265 to get yours ordered!! Casey has picked out the items she would like to received for her baby boy. I have her items listed in the order in which she most prefers them. Please just call or email me if you'd like to purchase something for her upcoming shower or just to give her as a gift. You can reach me at 615-443-1265 or email me a maddiemoosboutique07@yahoo.com. This SATURDAY, March 13th from 9am to 3pm I will have a booth set up at The Journey Church at 212-A Leeville Pike at their Spring Shopping Extravaganza. Please come by and check out some of my newer products! 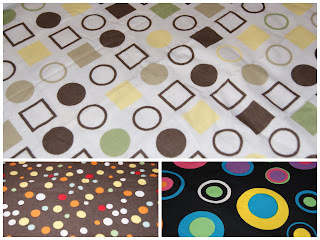 Leann has picked out a variety of fabrics and items that she'd like to register for. She has given me a list as well as some guidelines of how she'd like to have her baby items. You can check them out below. She wants a burp cloth, bib and passy clip out of this lady bug fabric. She wants the passy clip in a red fabric with black ribbon instead of the lady bug print, but it will all match. That set is $25. She has picked out several other fabrics that she'd like to have bibs, burp cloths and passy clips out of. I've pictured those below. She is really liking pinks and greens. 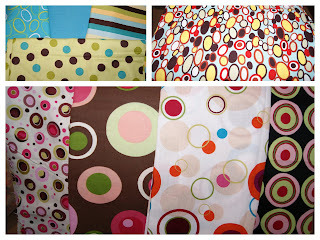 Leann has also asked for a few blankets and these are the fabrics she has chosen. She also wants a cross applique shirt like the one below in either hot pink or brown. If you would like to purchase something for Leann and baby Lillie then you can call me at 615-443-1265 or email me at maddiemoosboutique07@yahoo.com to place your order. I am happy to ship items as well if you don't live locally. Have you ever wished those diaper wipe containers were more fashionable?? I know I did. Well, you can now have them as cute as you want. You pick out the fabric and I'll change the entire look of your diaper wipe container and you can say good bye to those plain old boxes. If you'd like to order one, please call me at 615-443-1265 or email me at maddiemoosboutique07@yahoo.com. 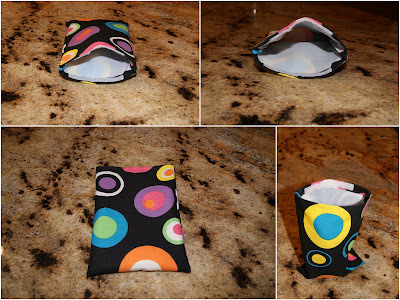 Tired of spending tons of money on plastic sandwich baggies? And just throwing them away! Now you don't have to!! Here are reusable sandwich and snack bags. I can do them in any kind of fabric design you want. They come in standard sandwich and snack bag sizes. The lining is a waterproof, washable fabric that will still keep your food fresh. The bags have velcro closures and will last for use after use. If you'd like order some, please contact me at maddiemoosboutique07@yahoo.com or 615-443-1265.